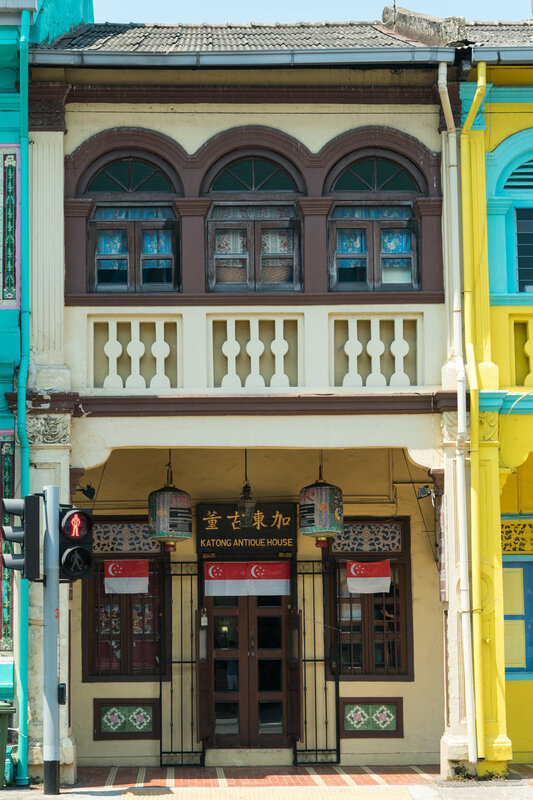 The Katong-Joo Chiat area, a district in the east of Singapore, is heralded for its colourful mix of cultures and heritage. Also known as a “Mini-Singapore”, a walk along the streets of this old town would bring forth feelings of nostalgia within folks of the pioneer generation, and inspire reverence in the young as they get immersed in a time before, and also of their own. As we joined the bustling lunch-hour crowd for a meal of our own, we walked along the bright facades of East Coast Road - just a stone's throw from our Choo Yilin Studio - our Visual Architect stopped by a shophouse with subdued yellow walls, a humble frontage and dark emerald green Peranakan tiles. It looked closed at first glance, but the day was young and our curiosity was strong. With a knock and a smile, we discovered a time-travellers’ gem and with this, we begin our Secrets of Joo Chiat Series. We walked in on a conversation between long-time friends, Mr Peter Wee and his guest, however, we were so warmly welcomed and quickly asked to take a seat; to make ourselves at home. As we passed the threshold, we were immediately mesmerised with the vast collection of memorabilia the Katong Antique House holds.One of the first aesthetics within his abode was the wall of framed photographs that line the staircase leading to the second floor. "Fill your walls with the photographs of family. That's your story." "My great grandfather, you might know him because there’s a street named after him here in Singapore; his name was Tan Keong Saik, of Keong Saik Street." He took our looks of awe in stride and continued telling us about life in the east of Singapore. His home was so full of wonder that we were so compelled to chat with him. He laughed good-naturedly with us and offered us a peek at one of his prized possessions: A Baba Album. He continued to tell us about his published book as he took us on a tour of his house, and we roamed with ease into different rooms. He’d apologised for the “mess” but we didn’t see what he'd meant. For us, the experience was wonderful - it was as if time slowed down and breathing was easy. It felt like a comfortable walk through time. it's a time capsule of memories. At Choo Yilin, we value conservation, it is after all, intrinsic to our brand. 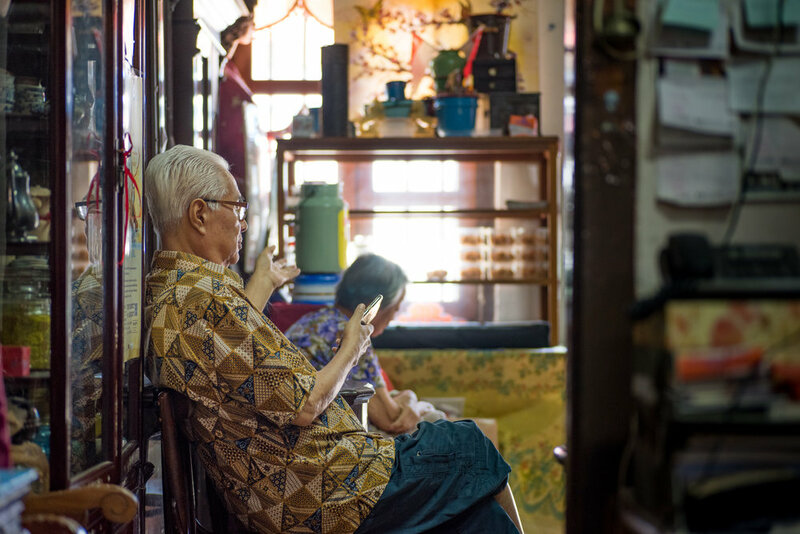 We too, aim to contribute in keeping stories of heritage alive, and the inspiration for the Secrets of Joo Chiat, as well as many of collections like our Shophouse Collections and our Peranakan Flower and Lace Collections, came from this passion. Our rich culture continues to drive us in the work that we do, and in 2018, we will be bringing more designs that tell the tales of our beloved home and people.